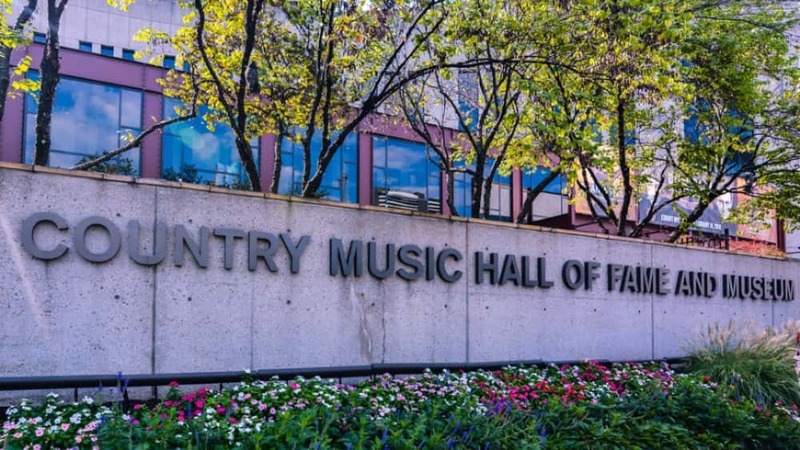 The Country Music Hall of Fame inductees were announced this week, and one would think, from the music sites I visit (okay, I only visit one site), that a thermonuclear blast had annihilated the planet. I wonder if there's ever been a year when the recipients weren't at least a little controversial. The only quibble I ever had with the awards was that it took too damn many years for Bobby Bare to be enthroned (I mean, c'mon!) Also see "Bobby Bare Inducted Into The Hall of Fame ~ Thanks To Me!" Modern Era ~ bestowed upon an artist who first gained prominence twenty years prior. Veterans Era ~ those who achieved distinction at least 45 years ago. Non-Performer ~ this category includes songwriters, producers, behind-the-scenes bigwigs, and basically anyone in the country music business who isn't an actual recording artist. There is no guarantee that one or three or anybody will get elected (however, that's rather unlikely, especially in the veterans class, seeing as how there is a glut of artists who still haven't gotten their due). But people are mad (mad!) that Ray Stevens will be inducted this year. They say it's political; that he lobbied the mysterious hall of fame people. (Can you really lobby for yourself? "I was just thinking; I'm pretty good. How about me?" That's a bit too obvious.) There's even a conspiracy theory that Ray was hanging out at last year's awards, making himself conspicuous; bringing people cups of coffee (okay, I made that last part up), just so they'd look at him and think, "Hey!" I say, stop hating on Ray Stevens. And honestly, no one's world will end just because Mister Gitarzan's bust will be displayed in the museum. Those who forgot or weren't alive during Ray Stevens' heyday only recall the goofy songs, but Ray Stevens was a hell of a singer...and a stylist. One of my very favorite albums is "Misty". He turned old standards into country songs ~ Indian Love Call, Deep Purple, Mockingbird Hill, Misty, of course ~ and made them awesome. Sure, he once had chickens clucking In The Mood, but who doesn't love a good chicken chorale? By the by, he also had hits with Everything Is Beautiful, Mr. Businessman, and Turn Your Radio On. He was Dolly Parton's first producer when she came to Nashville. He recorded "Sunday Morning Comin' Down" before Cash did. Ray Stevens wasn't just The Streak. Tanya Tucker ~ yes, she will. Lynn Anderson ~ probably never, although I love her. Jerry Lee Lewis ~ definitely deserves to be. Crystal Gayle ~ I'm gonna say no on that. David Allen Coe ~ Did he have one hit? I'd pick Johnny Paycheck fist. Gene Watson ~ love, love him. I hope he gets in, but I doubt he will. Johnny Rodriguez ~ same as Gene. Same chances. Nitty Gritty Dirt Band ~ I love them, but their chances are slim. The Gatlin Brothers ~ nobody mentioned them, but why not? Better than Crystal Gayle. Hank Williams, Jr. ~ This seems to be the popular pick, and I have no earthy idea why. I'm trying hard to understand his influence on country music, other than exclaiming "I'm Bocephus!" in every single one of his songs. They're not actually good sing-alongs: "I'm Bocephus!" "No, you're not." "Well, uh, those are the lyrics." And that's just the veteran's category. Just wait 'til I get to the Modern Era.